Luxury Comfort: Make of linen material to feel great on your hands. 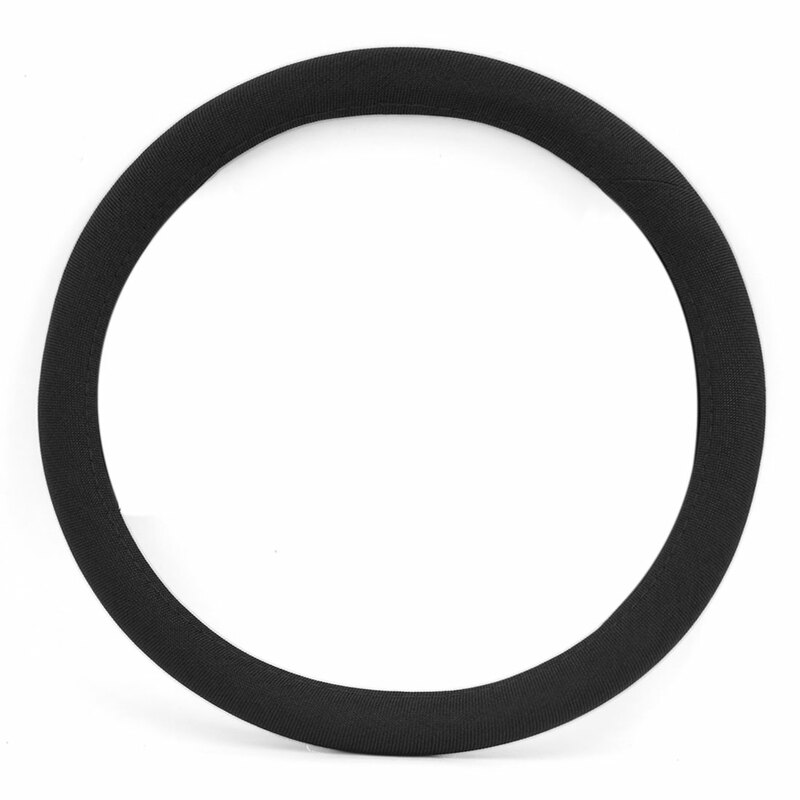 Odorless Skidproof Design: no nasty toxic rubber smell. Protected Hands: Comfort Grip Provides Protection for Your Hands from Both Hot or Cold Weather. Increased Safety: a better grip on the wheel gives your more control on the road-which means safer driving for you and your family. More Protection: take great care of your new car or upgrade an older one by covering wear and tear. 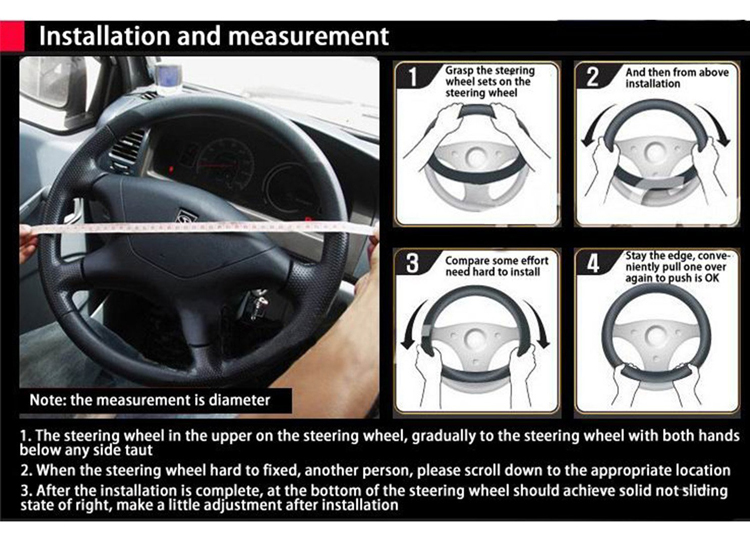 Easy Installation: fits all standard steering wheels which outer diameter is 15 inches and can be put on effortlessly in seconds. Some people may need help with installation, a partner or young adult. Can be used in any season! the cover are located. With some steering wheel covers,there will be stitching located at the bottom. bottom portion of the wheel.